Pokemon Go is awesome and we all want to show off when we catch rare Pokemon. 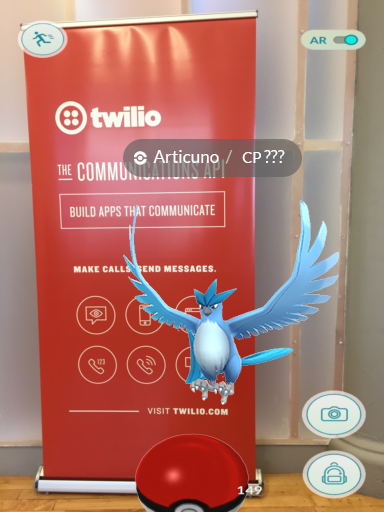 Let’s build a quick hack using Python and Twilio MMS that will allow you to trick your friends into thinking that you’ve encountered legendary Pokemon. The images we will need to use including screenshots of models of the legendary Pokemon and the overlay for the Pokemon encounter screen. Create a new folder called pokemon-go-images in the directory where you want your project to live and save them there. Let’s write some code to take the image we want to manipulate and overlay the Pokemon catching screen over it. We will use the Image module from PIL. We need a function that takes a path to an image and the name of a Pokemon. Our function will resize the images to be compatible with each other, paste the overlay over the background image, paste the selected Pokemon on the image and then overwrite the original image with the new image. # This is the image the user sends through text. # Resizes the image received so that the height is always 512px. # Specify which pokemon sprite is used. # Convert images to RGBA format. # Place the pokemon sprite centered on the background + overlay image. # Save the new image. We need a Twilio phone number before we can respond to messages. You can buy a Twilio phone number here. Now that we have the image manipulation taken care of, make a Flask app that receives picture messages and responds to them with a Pokemon being captured in that picture. # Generate TwiML to respond to the message. # Default to Mew if no Pokemon is selected. # Take the first word they sent, and convert it to lowercase. # Save the image to a new file. # Respond to the text message. The /sms route responds to an incoming text message with some Twilio flavored XML called TwiML. Notice that the ‘NumMedia’ parameter is not zero, meaning we received an MMS. Twilio does not return an image itself, they return a URL to the image. We create a string called filename using the MessageSid parameter to maintain a unique identifier for each image. Then the program opens the file to write the content of Twilio’s image to the file. The second route, /uploads/ handles the delivery of the message.media TwiML using that URL to retrieve the new image. Before testing this out, make sure that you’ve changed the file paths and the URL to reflect your own. Now try texting an image and the name of a legendary Pokemon to your newly configured Twilio number. 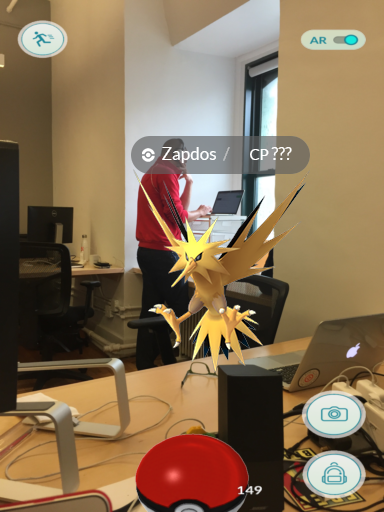 Looks like we found a Zapdos in the Twilio New York office! Time to catch ’em all! Now that you can send messages to make it look like you are catching legendary Pokemon in any arbitrary picture, your quest to making your friends think you are a Pokemon master can truly begin. The code for this project also lives on this GitHub repository. 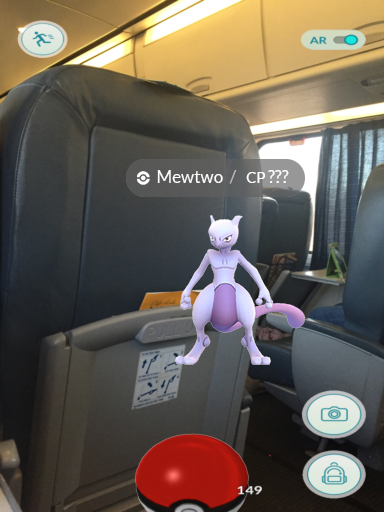 For more Pokemon Go-related awesomeness, check out this post that will walk you through setting up SMS alerts when rare Pokemon are nearby. Thanks to my good friend Shahan Akhter for helping out with image manipulation and tweaking the Python code to make the images look better.